The 1950's saw the introduction of a new form of nuclear delivery system into the dynamics of the growing Cold War: the intercontinental ballistic missile (ICBM). A new, secret arms race was about to begin. While the development and deployment of ICBMs was well known on both sides of the Iron Curtain, the Soviet government was beginning a top secret research and development program designed to counter the growing American ICBM threat. That R&D program aimed to develop the world's first effective anti-ballistic missile (ABM) system. ABM systems were not a new idea. As far back as 1946, the United States had began to research ABM systems capable of intercepting short-range weapons akin to the German V-2 of World War 2. In 1948, the USSR's NII-4 research institute began to study ABM concepts. By 1953, senior ranking officers in the Soviet military were requesting that the Central Committee of the Communist Party to consider developing an ABM system to counter the threat of American ICBMs. The USSR's Council of Ministers authorized the development of an ABM system on the 17th of August, 1956. The seeds for the first operational ABM system in the world were finally planted after nearly a decade of research. The first task for the Soviet defense complex was to develop and test a trial system to validate the concept of an ABM weapon system. The test range was constructed at Sary Shagan on the shores of Lake Balkhash in present-day Kazakhstan. Sary Shagan remains the primary R&D and test center for Russian ABM systems to this day, with the site being leased from the Kazakh government. The trial ABM system was designated System A, and construction began in 1959. System A consisted of a series of components spread across the Sary Shagan test range, connected via a radio-relay network. 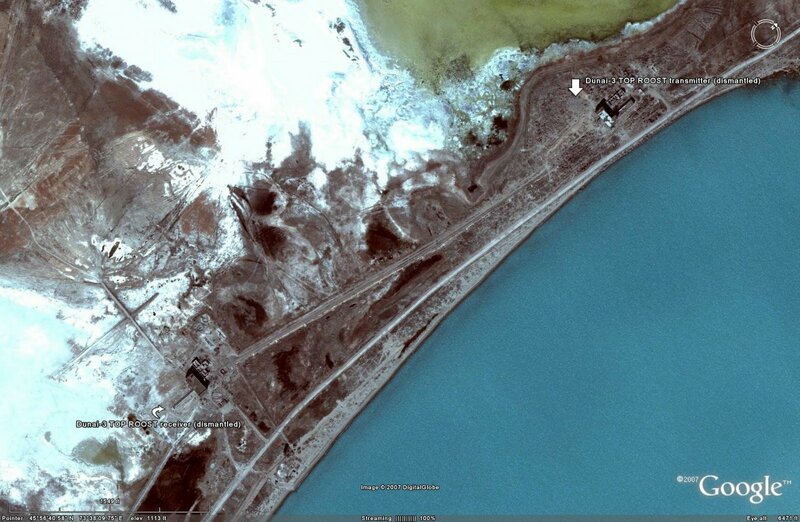 The Dunai-2 (HEN ROOST) radar was developed for System A and placed along the shore of Lake Balkhash. Dunai-2 was a 1200 kilometer range early warning radar designed to acquire the inbound targets for the system, and had been developed after the successful trials of the Dunai-1 proof of concept radar. The Dunai-2 radar set was later replaced by the Dunai-3UP (TOP ROOST) radar, a trial version of the 5N11 Dunai-3U (DOG HOUSE) radar later employed by the A-35 (ABM-1) ABM system. The Dunai-2 and Dunai-3 both employed separate transmitter and receiver arrays. The transmitter arrays were located at 45°56'49.67"N 73°37'51.75"E, with the receiver arrays being located at 45°56'09.98"N 73°37'43.45"E. These arrays have been dismantled, but the adjacent control buildings are still present on the range at Sary Shagan (see below). OKB Fakel's V-1000 was the ABM interceptor used by System A for the test series. The V-1000 was a two-stage weapon, and was launched from fixed rail launchers. Command guidance was used to guide the missile to the target and detonate the warhead. RSV-PR (HEN NEST) and RTN (HEN EGG) acquisition and tracking radars guided the V-1000 to intercept. The V-1000 had a range of 300 kilometers and could reach an altitude of 25,000 meters. Initially, high-explosive warheads were fitted to the V-1000 interceptors. The warheads contained 16,000 carbide-tungsten balls embedded in a TNT filling. The warhead would be command detonated into a disc-shaped fragment field. The first successful intercept of a ballistic missile was conducted on 24 November, 1960, but a live warhead was not fitted. 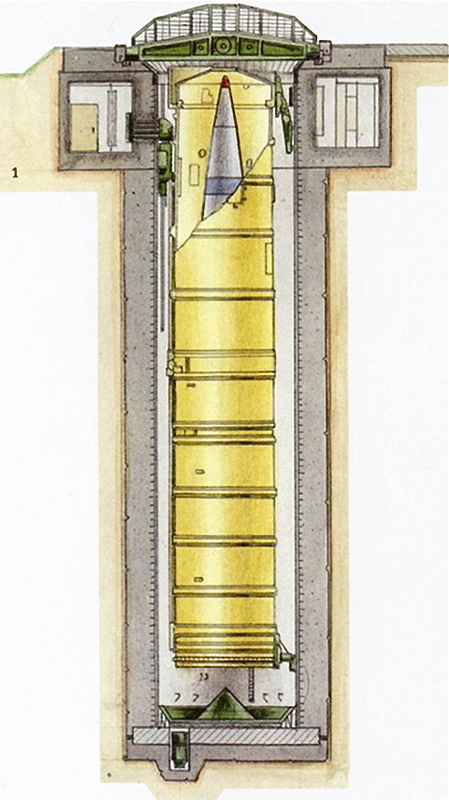 On the 4th of March in 1961, the first successful intercept of an R-12 (SS-4 SANDAL) IRBM with a V-1000 fitted with a live warhead was performed. Over the course of the test series, there were 11 successful intercepts of inbound targets, including the destruction of an R-5 (SS-3 SHYSTER) SRBM's warhead section 22 days after the first successful intercept. Various iterations of the V-1000 ABM were also trialled, including the IR-guided S2TA variant, and the optically and radar fuzed nuclear armed R2TA and G2TA variants. One of the most interesting test programs involved subjecting the components of System A to high-altitude nuclear detonations. Operation K consisted of five nuclear detonations between 80 and 300 kilometers in altitude, and these events proved to have no effect on the functionality of System A. 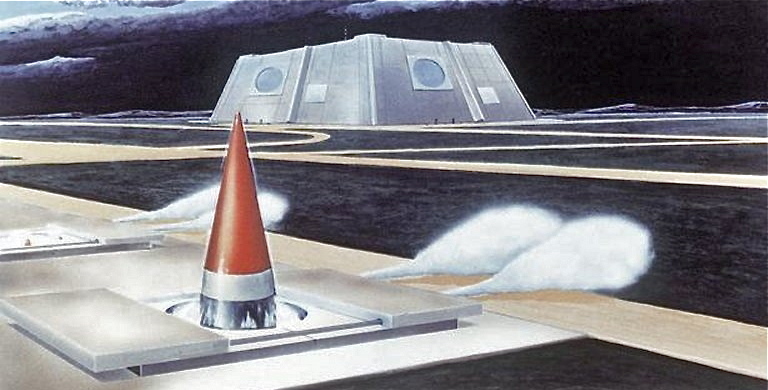 System A was also used to validate anti-ABM defenses for Soviet ICBMs, including the Kaktus decoy and the Krot jammer. With the success of System A, the overall concept of an ABM system had been validated. 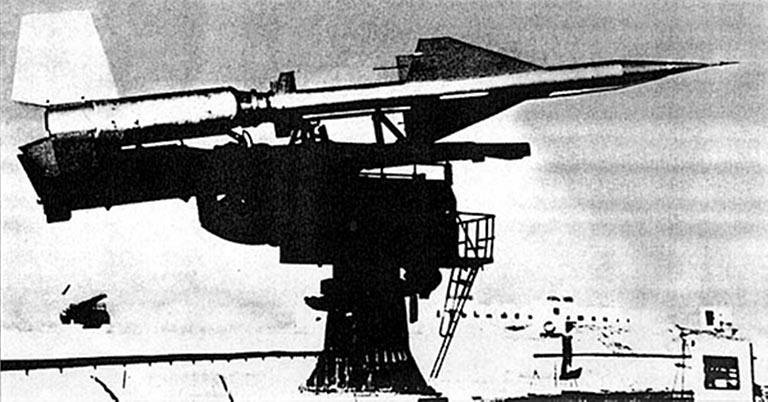 In 1960, the Central Committee ordered the development of the operational A-35 ABM system, with the intention of deploying the system around Moscow for defense against ICBM attacks. The original concept called for the deployment of V-1000 interceptors at 32 launch sites around Moscow, along with eight ballistic missile early warning (BMEW) radar sites and one Dunai-3U (DOG HOUSE) battle management radar. During the course of development, OKB Fakel determined that the V-1000 was not the ideal missile for operational employment, and the development of a new interceptor was commissioned. Also, by 1964 the number of launch sites was reduced to 16, and the use of a nuclear warhead in the interceptor vehicles was decreed. Above: Fakel 5V61 / A-350Zh / SH-04 Galosh ABM; below A-350Zh transporter/loader towed by MAZ-537 tractor on parade in 1966 (via Russian Internet). The new missile employed by System A-35 was OKB Fakel's A-350 (GALOSH). The initial variant employed by the system was the A-350Zh, also referred to as the 5V61. The A-350 was a command guided weapon employing a nuclear warhead. Initial plans called for a low-yield warhead to be used, but in the end a one megaton device was employed, enabling the weapon system to function effectively with a lesser degree of accuracy. The A-350 had an intercept range of 350 kilometers and was designed for exoatmospheric intercepts. The A-350 was a two-stage weapon powered by a solid-fuel first stage and a liquid-fuel second stage. The A-350 was hot launched from a container mounted on a launch rail. 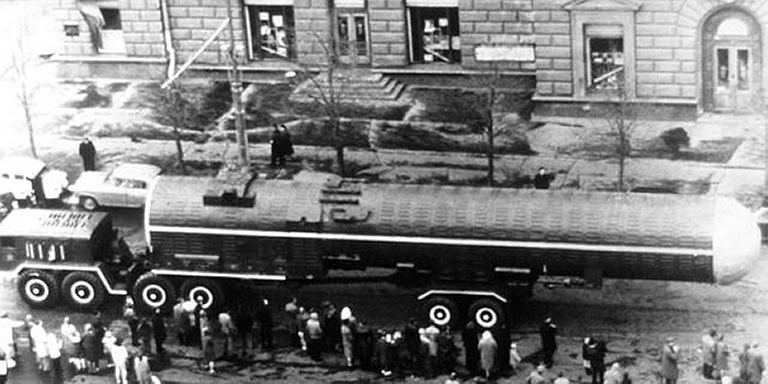 System A-35 was deployed at four sites around Moscow. Eight sites were planned, and all of them were in various stages of construction when work ceased, but only four were completed and fitted with launch facilities. Each site was fitted with two launch areas containing eight missile launchers. Two missile tracking radars and one guidance radar were fitted at each launch area (the entire three-radar complex is known as TRY ADD). 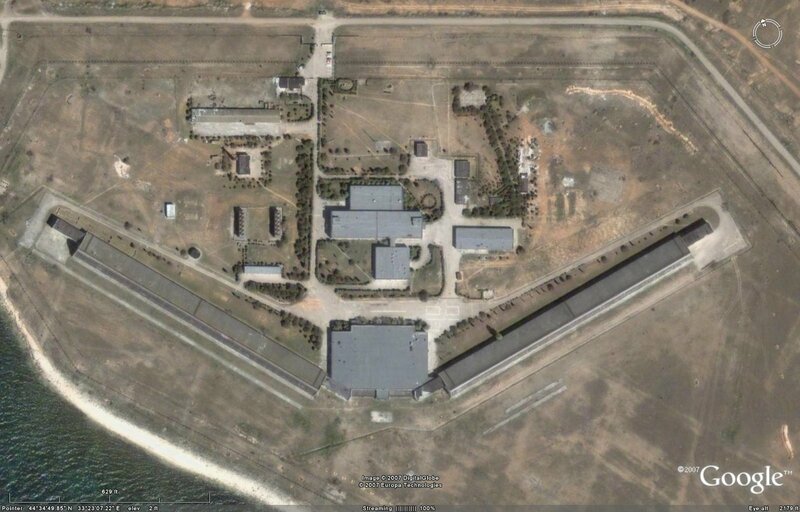 The Dunai-3U was located at 55°29'12.01"N 36°40'3.10"E. The Dunai-3U was recently dismantled. 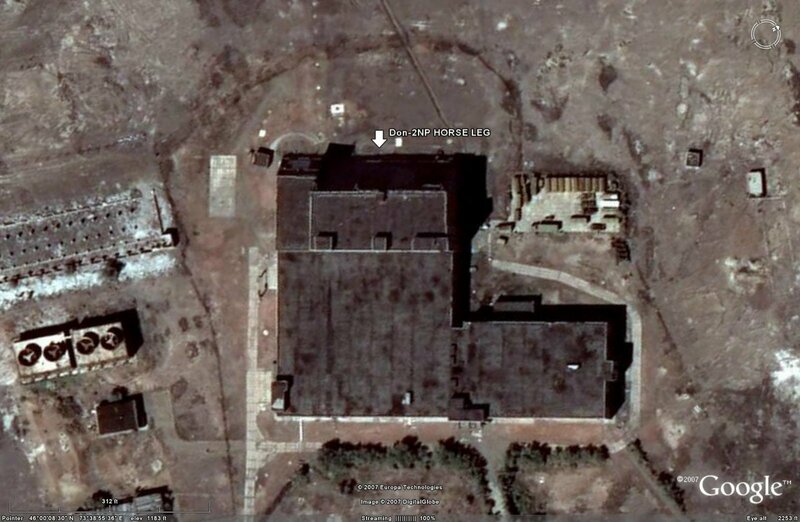 An ABM support facility was located at 55°17'55.80"N 36°32'42.45"E and is still in use today supporting the current system. During development it was discovered that the system could effectively intercept single-warhead weapons, but the advent of MIRV'ed ICBMs posed a problem for the A-35. As a result, preliminary operational status was first achieved in 1971, with the intention of updating the system later. 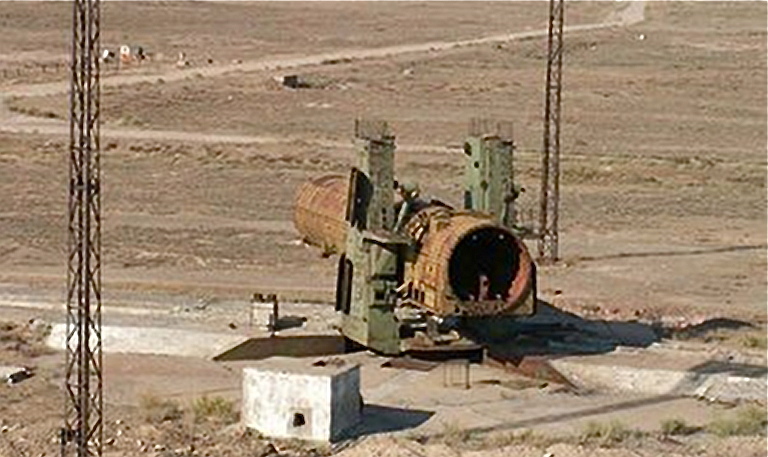 Abandoned A-350 launcher at Sary Shagan (via Russian Internet). System A-35M was an upgrade of System A-35. Trials began in 1977, and in 1978 the system replaced System A-35 around Moscow. The upgraded system was intended to intercept ICBMs employing anti-ABM countermeasure systems such as jammers and decoys. An upgraded model of the Dunai-3U, the 5N11A Dunai-3M (CAT HOUSE) was constructed at 55°13'8.71"N 37°17'49.15"E. A modified variant of the A-350, the A-350R/5V61R was employed by System A-35M. 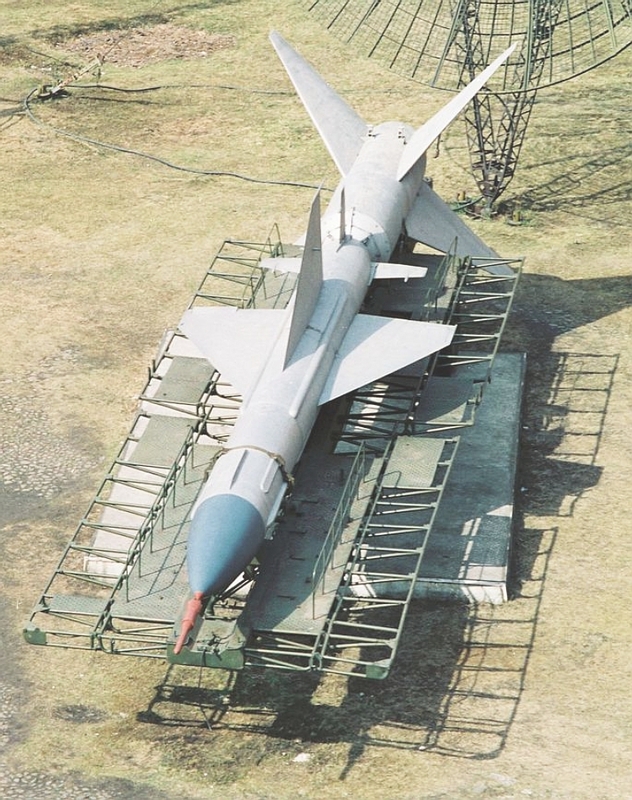 This missile differed from System A-35's A-350Zh insofar as it was not situated at the launch sites directly, but rather was stored at a support facility nearby. Missiles would be armed and fueled, and then transported to the launch site as needed, with dummy missiles occupying their space on the 64 launch positions. This suggests that there may have been some operational problems with keeping the original A-350Zh missiles fully fueled and armed in their launch containers at the launch sites. Liquid propellant is very volatile and unstable, and an accident resulting in an explosion had the potential to spread radioactive material from the warhead into the environment, in much the same way as the BOMARC missile accident in the United States in 19601. 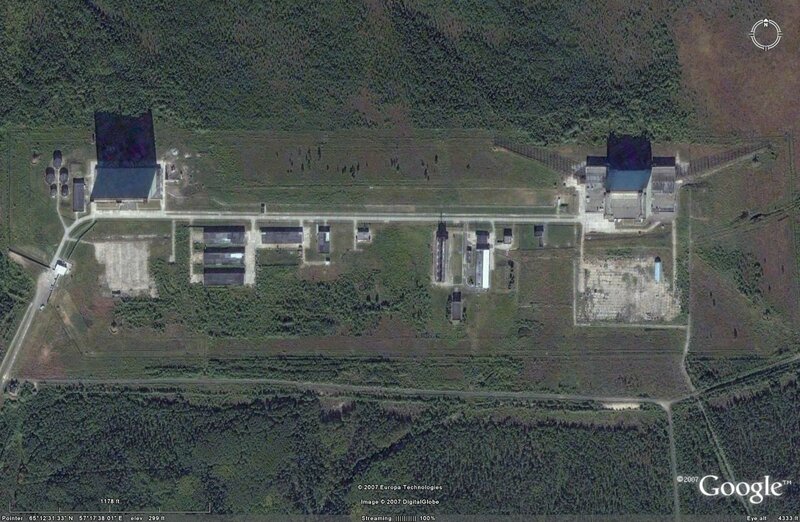 The northwestern 5V61 launch sites near Klin were reconfigured with the new 5V61R by the early 1980s. These weapons remained in service with System A-35M until the new System A-135 was completed in the early 1990s, with the two extant A-350Zh sites having been deactivated and reconfigured to house System A-135's new 51T6 silo-launched exoatmospheric interceptors. It would appear that the two remaining 5V61 sites remained active for a time as part of System A-35M, apparently not being refitted with the newer 5V61R interceptor. In the late 1950's, the USSR was developing a mobile ABM system known as Saturn. Not much is known about this system, except that it would have relied on modified OKB Fakel missiles. The first of these was the 20DS, a modified V-755 (SA-2 GUIDELINE) SAM. The 20DS would have been primarily employed as a test vehicle, although Western intelligence at one point believed that the 20DS was a tactical ABM system, suggesting that Saturn at least reached the test stage. The operational missile would have been the 5V21S, a modified 5V21 (SA-5 GAMMON). While the Saturn mobile ABM project was cancelled at an early stage in May of 1961, it should be noted that there is evidence that the 5V21 was intended for use from fixed sites in a limited ABM capacity. In 1973 the 5V21 was tested at Sary Shagan in an ABM capacity, and a nuclear armed variant was accepted for service as a national ABM system in 1975. 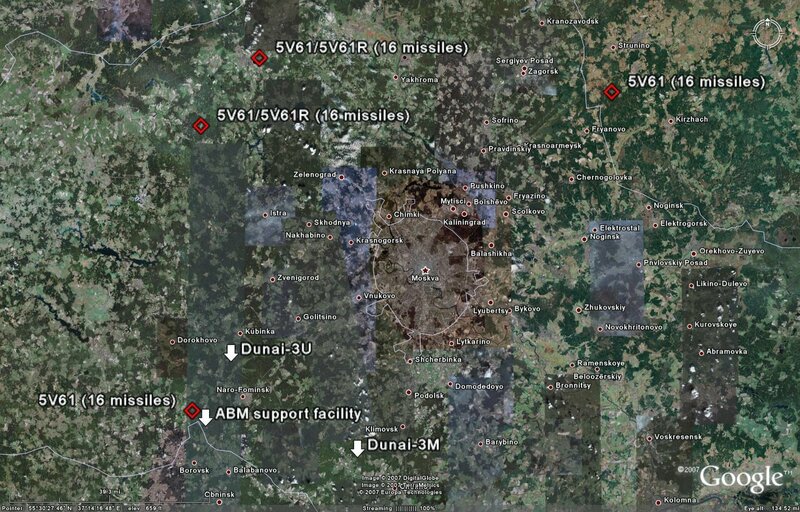 Intelligence data indicates that the nuclear warheads for the ABM role began to appear at 5V21 sites in 1974. Interestingly, the parameters of the now-defunct ABM Treaty of 1972 do not classify the 5V21 as an ABM system due to its low velocity, but when fitted with a nuclear warhead an intercept is at least technically possible provided adequate early warning and target tracking is obtained. It should also be noted that the OKB Fakel 5V21 missile system is not related to, but in fact replaced, the Lavochkin 5V11 Dal (GRIFFON) SAM system. Dal was cancelled shortly after work had begun on constructing launch sites around what was then known as Leningrad. 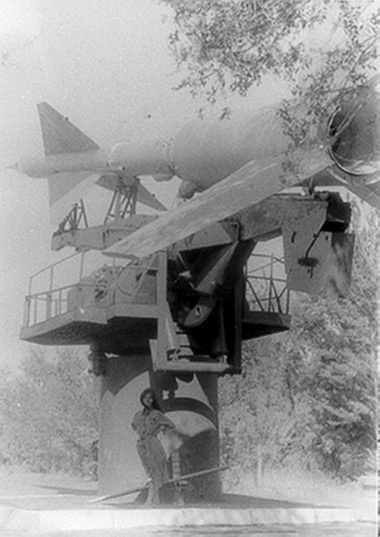 Dal was similar in design to the OKB Fakel V-1000 ABM used in System A, and as such Western intelligence agencies often confused the two types, claiming that the new sites being built around Leningrad were part of an ABM system using the Dal missile. 5V11 Griffon SAM/ABM (image © Miroslav Gyűrösi). The Taran ABM system was proposed in 1963. This system would have employed a variant of the UR-100 (SS-11 SEGO) ICBM fitted with a ten megaton warhead to intercept incoming missiles at long range. The missile was known as the UR-100PRO. The Taran system would have been controlled by a new radar, the TSSO-S, near Leningrad. Early warning would have been achieved by employing the existing BMEW radar network, particularly EW sites RO-1 and RO-2 (discussed later), before the TSSO-S prosecuted the engagement. The TSSO-S was not built as the entire project was cancelled in 1964. Project Aurora was initiated to develop a national ABM system to complement System A-35 around Moscow. Little is known about Aurora, except that there would have been two missiles employed, the long range A-900 and the short range A-351, the latter possibly being a modified variant of the A-350Zh, perhaps in the form of the second stage only. The weapons would have been equipped with variable yield nuclear warheads so that intercepts at lower altitudes would not bring disastrous effects on the ground thanks to EMP. Aurora would have been based in part on components from System A-35, and as such preparations were made to test Aurora components at System A-35's test facility at Sary Shagan. 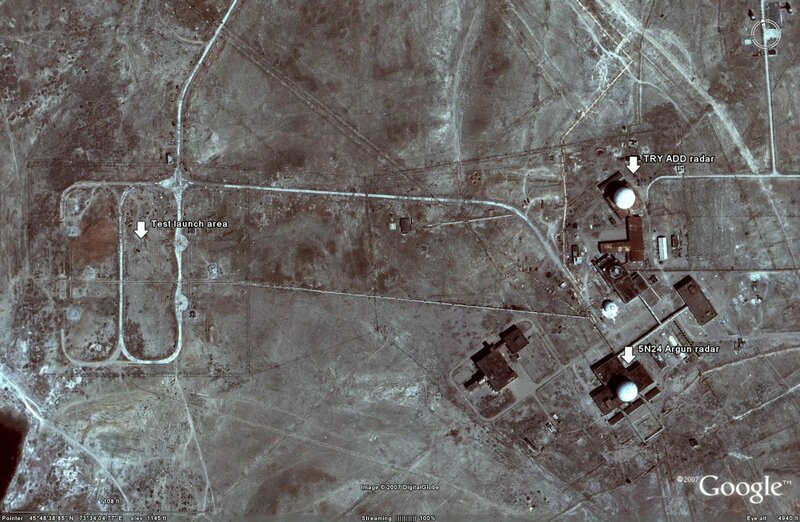 The system was cancelled in 1967, but the 5N24 Argun radar associated with the system remains at Sary Shagan. Initially, the system was believed by the CIA to be a modified version of System A-35. This probably stemmed from the fact that the new radar was placed at the System A-35 test site. According to Jane's, the Argun is currently used as a laser director supporting potential laser ASAT tests. The S-225 was a mobile ABM system intended to defend point targets against a limited strike by one or two ICBMs. Development was initiated in 1962 after the cancellation of the Aurora national ABM system. The S-225 was to have employed a two-tier missile system similar to that envisioned for the Aurora. OKB Fakel's 5Ya27 missile would have handled exoatmospheric intercepts, with the Novator 5Ya26 handling endoatmospheric intercepts. The 5Ya27 was a two-stage missile with a solid fueled first stage and a liquid fueled second stage, similar to the A-350. Both missiles would have been command guided and employed nuclear warheads. Engagements would have been handled by the RSN-225 (FLAT TWIN) phased-array radar, with a separate antenna station (PAWN SHOP) being provided for the transmission of missile guidance commands. Early warning signals would have been provided by BMEW radars at EW sites RO-1 and RO-2. Development of the multi-missile S-225 system was stopped in 1978, but further work did continue using the Novator PRS-1 missile, which may have been an upgraded version of the 5Ya26, or a new weapon altogether. Work on the S-225 was finally stopped in the early 1980's, some sources indicating that testing continued until as late as 1984. The RSN-225 was active tracking RS-10 (SS-11 SEGO) and RSD-10 (SS-20 SABER) IRBMs during a 1982 exercise, suggesting that work was ongoing on the S-225 at that point. It is possible that the PRS-1 is related to the Novator 9M82 ATBM weapon which is part of the Antei S-300V2 (SA-12B GIANT) system, or it may have been a trial vehicle for the 53T6 endoatmospheric interceptor used by the current System A-135 ABM network. The 55T6 designator has also been associated with a missile design for the system which was an alternative to the PRS-1, but which was cancelled with the system in 1984. This might also have been a trial vehicle for the 53T6, as the 53T6 is said to have replaced the 55T6 in development. This does raise the possibility of continued research into a mobile ABM system based on the 53T6, but there is no evidence to suggest that such a project was ever proceeded with. 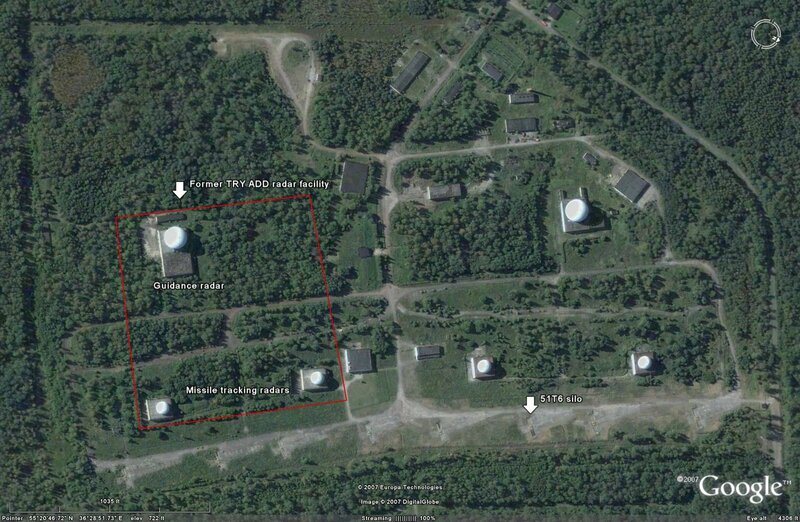 At any rate, the RSN-225 radar set still exists to this day, and has been relocated from the Sary Shagan test range to a position on the Kamchatka peninsula at 56°16'14.40"N 162°44'5.84"E (see the below image). 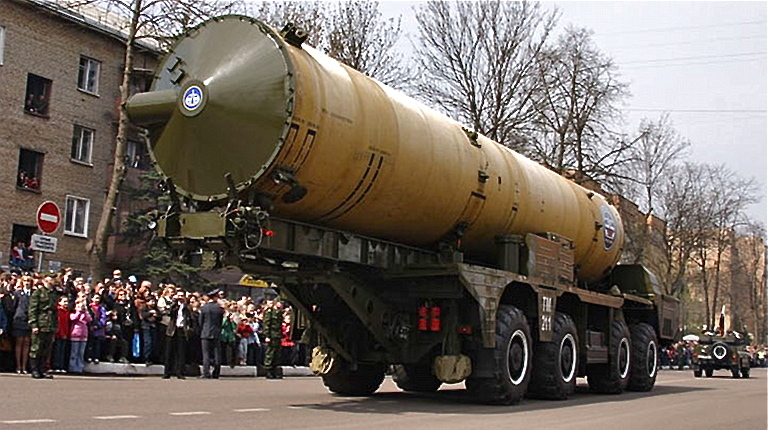 The current Russian ABM system is System A-135. System A-135 began development in 1968 with the intent of protecting Moscow against a limited nuclear strike. Initial construction of prototype elements began in 1974 at Sary Shagan. Both endoatmospheric and exoatmospheric interceptors were envisioned for the system, with Novator handling the former and OKB Fakel the latter. RTI's 5N20P Don-2P (HORSE LEG) prototype phased-array radar was installed to provide guidance commands to the two missile systems under test from Sary Shagan. 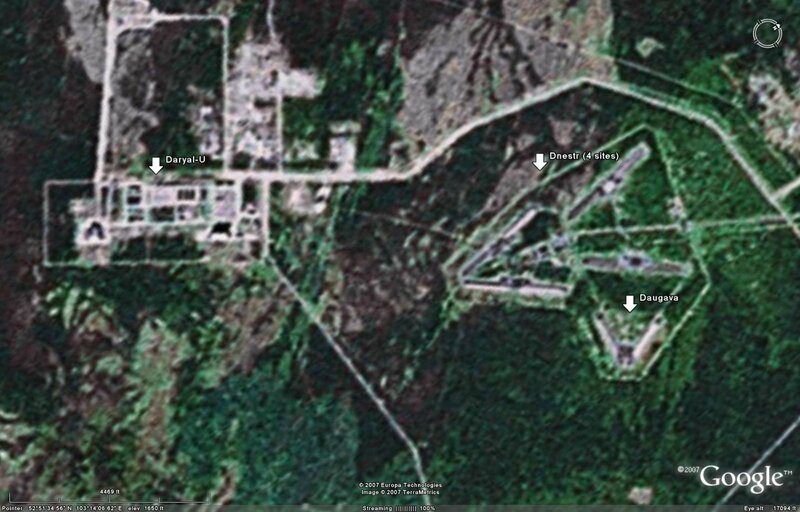 The Don-2NP is still present at Sary Shagan (see the image below), and is located at 46°00'11.18"N 73°38'58.07"E.
51T6 SH-11 Gorgon ABM Silo cutaway. The missile launch canister containing the weapon was emplaced in the silo and locked into position, permitting the interceptor to launch through the frangible launch canister front face. In operation the split silo doors are retracted. The smaller endoatmospheric 53T6 SH-08 Gazelle ABM employed a similar scheme. The intent of this complex arrangement was to permit reuse of the silo, and rapid reloading with a new ABM round (via Russian Internet). 53T6 SH-08 Gazelle endoatmospheric ABM MAZ-7910 Transporter/Loader (via Russian Internet). 53T6 SH-08 Gazelle ABM launch (SMP/US DoD). 53T6 SH-08 Gazelle silo doors (via Russian Internet). System A-135 initially employed two missiles, the Novator 53T6 (GAZELLE) endoatmospheric interceptor and the OKB Fakel 51T6 (GORGON) exoatmospheric interceptor. Both missiles were silo launched. 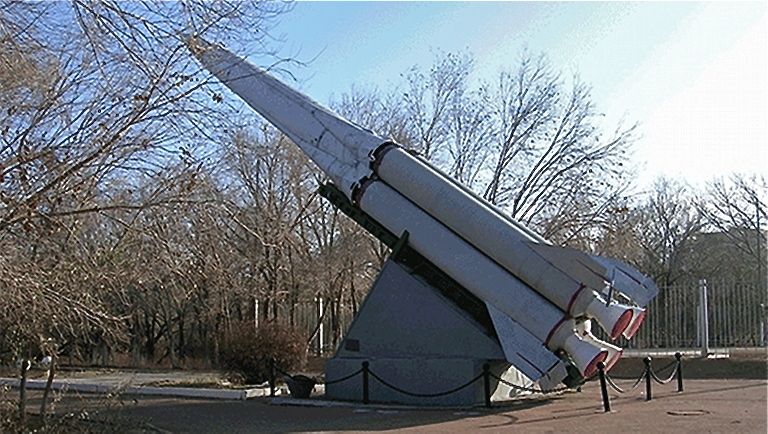 The missiles are command guided by the Don-2N and initially used ten kiloton nuclear warheads to destroy their targets. 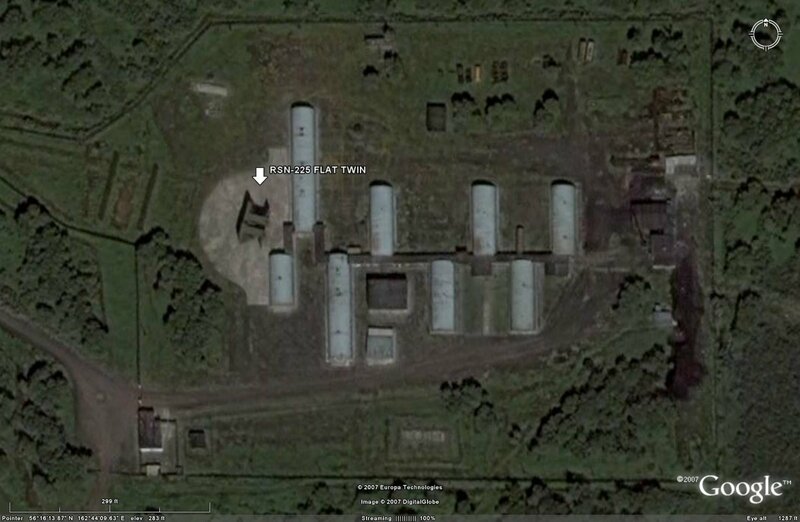 53T6 missiles are located at four sites around Moscow, and at a fifth site adjacent to the Don-2N radar facility. 51T6 missiles were located at two former A-350R sites. The 51T6 missiles have recently been taken offline, and the 53T6 missiles have had their nuclear warheads removed and presumably replaced by conventional explosives, leaving them as the sole operational interceptor component of System A-135. It is interesting to note that with the inconsistent deployment of the 53T6 missiles, System A-135 falls exactly 16 interceptors short of the limitations imposed by the 1972 ABM Treaty. 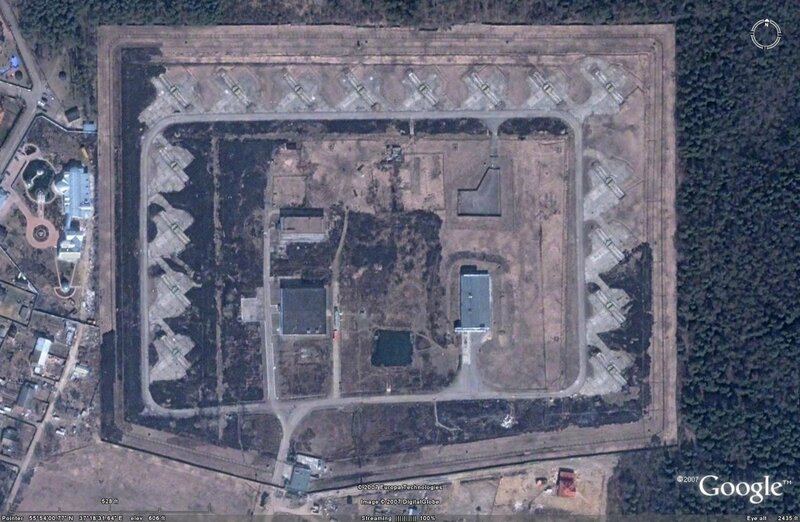 It is possible that there were plans for two more 8 silo 51T6 interceptor sites, but that they were not proceeded with, or that there were similar unfinished plans for another 16-silo 53T6 site. The BMEW network would identify an inbound target. The BMEW site identifying the target passes track data to the command and control center which forwards target track data to the Don-2N engagement radar. 51T6 interceptors are fired at the target, with the intention of prosecuting an exoatmospheric intercept. 53T6 interceptors are used to endoatmospherically engage any targets which may have slipped past the 51T6 salvo. 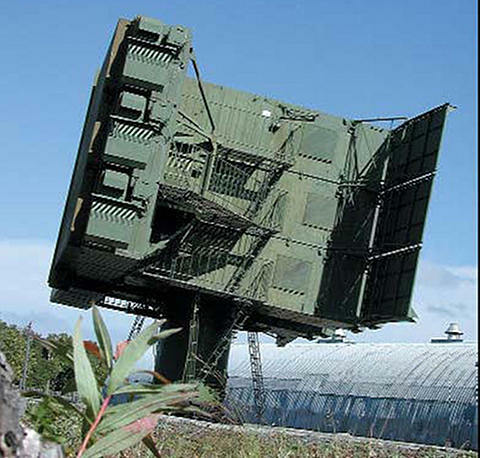 Alterations to the Dnestr radar set resulted in the 5N15M Dnestr-M BMEW radar system. Dnestr-M radars began to be constructed in 1963. The first Dnestr-M radars were placed at EW sites RO-1 and RO-2, near Murmansk and Riga, respectively. Being oriented towards the United States, these two EW sites figured prominently in early ABM systems, as evidenced by their frequent mention in the above sections. Further improvements led to the introduction of the 5N86 Dnepr and the Daugava radar systems, the Dnepr being trialed at Sary Shagan in the form of the 5N86P Dnepr-P.
Dnestr-series radars had their two arrays projecting from each side of the central control facility in a perpendicular fashion, making the system look like a straight line. 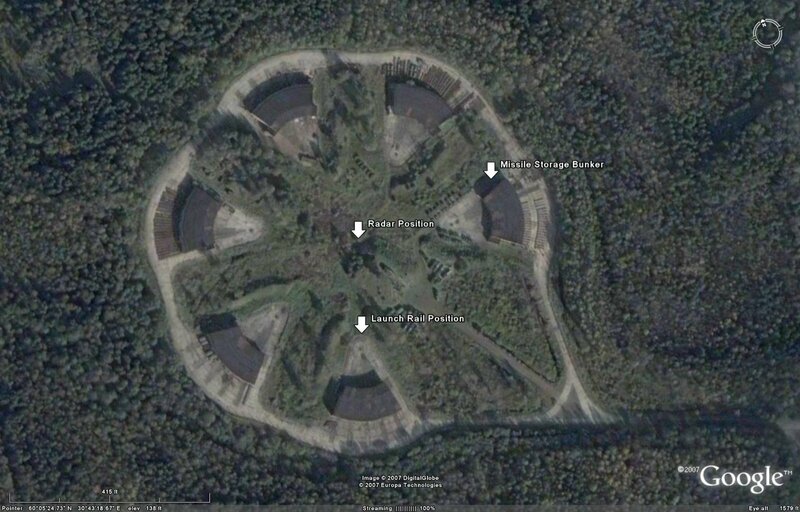 Dnestr-M and Dnepr-series BMEW radars featured arrays on either side of the control facility that were positioned at a slight angle from center, making the overhead appearance of the site to appear like a v shape. Two basic configurations were used, with the angle of the v being either sharp or shallow. The difference in layout allowed for radar sites to have different fields of view based on their position and the requirements of the BMEW network. The latest versions of the HEN HOUSE series have a range of 6,000 kilometers. Many of the old Dnestr-M sets were updated to Dnepr standard. The final HEN HOUSE iteration was the 5U83 Daugava radar set. Daugava introduced a transmitter array designed for the forthcoming Daryal radar system to the Dnepr complex at EW site RO-1. With this configuration, the Daryal array would act as a transmitter, with the Dnepr arrays acting as receivers, to provide increased system performance. The Daryal series consists of two large phased array radars (LPARs), one of which is a transmitter and one of which is a receiver. The system has a range of 5,000 kilometers. 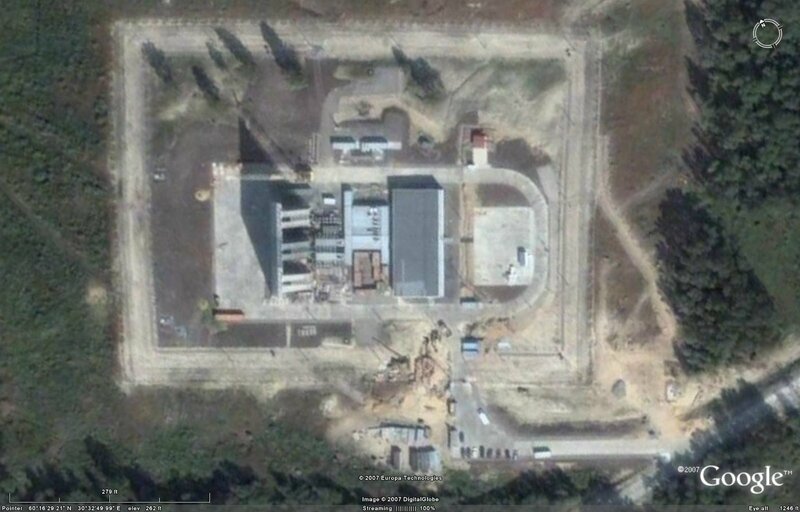 One of the radar sites was constructed in Belarus and was given the name Volga, although it appears that this name may be either a codename for the construction operation or for the site itself, as the facility appears to be a standard Daryal-series radar site. There is an inconsistency in the various layouts of the Daryal-series radar sites, as the distance separating the two radar arrays ranges from between 800 meters 2800 meters, and does not appear to be dependent on the variant. The reasons behind the dismantling of many of the HEN HOUSE and Daryal radars is both political and financial. The aforementioned ABM treaty stipulated that ABM radars could only be deployed along a nation's periphery. This is why the Daryal-UM near Yeniyesk had to be dismantled. 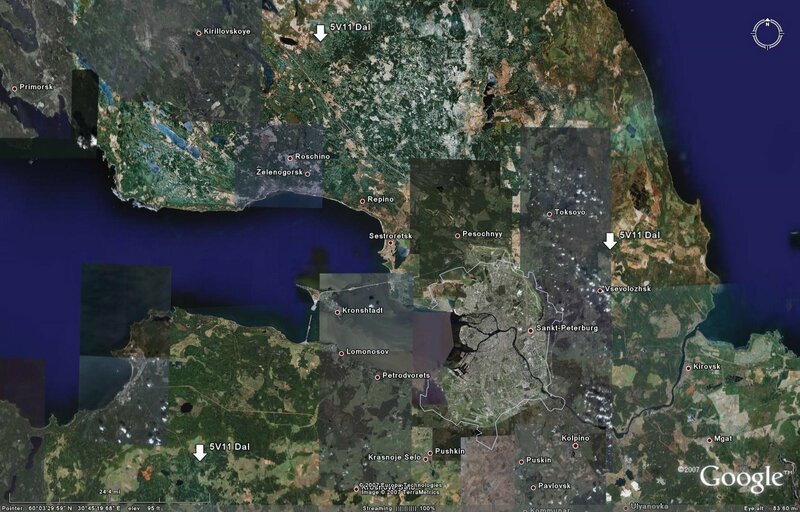 When the USSR broke apart, a number of the BMEW sites were located outside of Russian territory, and this necessitated the leasing of some of the radar sites, while others were dismantled. The latest BMEW radar system is the Voronezh-DM. Two radar sites are planned. The first site in Lekhtusi, located at 60°16'31.47"N 30°32'41.96"E, is currently under construction, while work on the site at Armavir has not yet begun. Compared to the development of dual role SAM/ATBM systems, such as the S-400 Triumf / SA-21 and successor systems, much less work appears to be underway on the ABM front. There have been rumours of a new ABM interceptor being developed, designated 45T6, but nothing more is known about this system. It would logically be a replacement for the Fakel 51T6 exoatmospheric interceptors, as these have recently been taken out of service. Most of the ABM work underway is in the radar field. 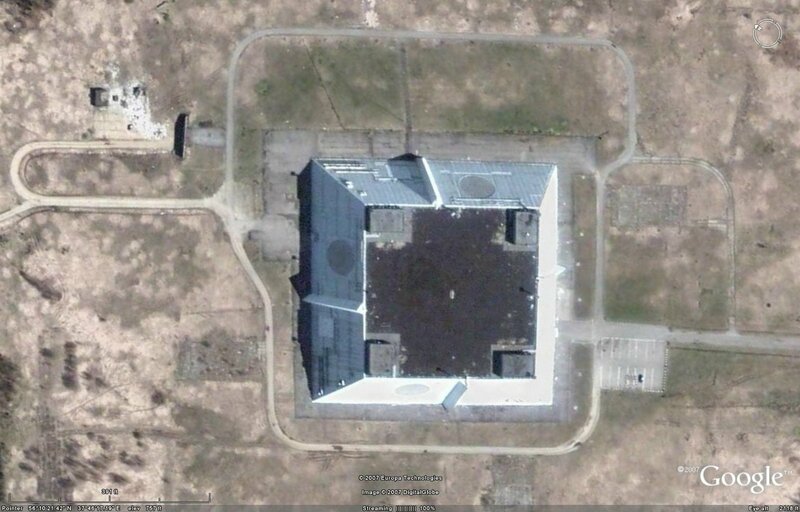 The aforementioned Armavir Voronezh-DM radar is the latest BMEW LPAR design, and was recently completed. Beyond that, very little work appears to be underway regarding future ABM components. 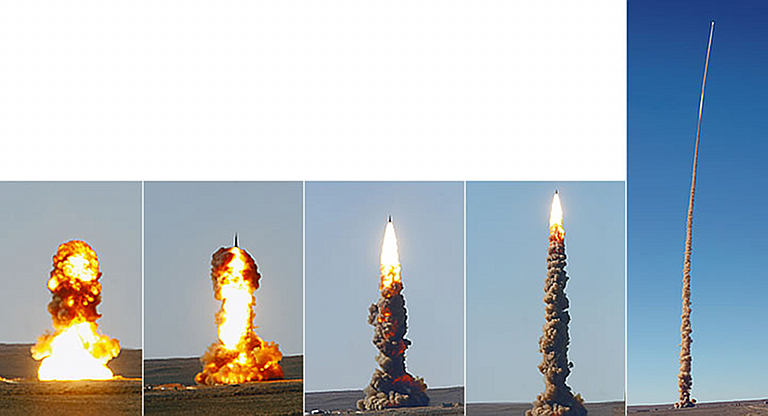 Sary Shagan is still an actively-used ABM test range, as evidenced by a recent 53T6 test launch, but there does not appear to be any significant R&D activity ongoing. That could be due to the siting of this test range outside Russian Federation territory; ABM development may be moved to Kapustin Yar, Ashuluk, or another test range in the future to keep it secure from unwanted observers. The 1960 BOMARC accident at McGuire AFB is detailed at http://geimint.blogspot.com/2009/07/image-of-week-mcguire-bomarc.html. Jane's Strategic Weapons Systems (various years). Jane's Land-based Air Defence (various years). Various posters at Secret Projects, in particular Overscan, Meteorit, and Muxel, provided a good debate about the topic and provided the inspiration for this project. Thanks also to Trident for the Lake Balkhash materials. 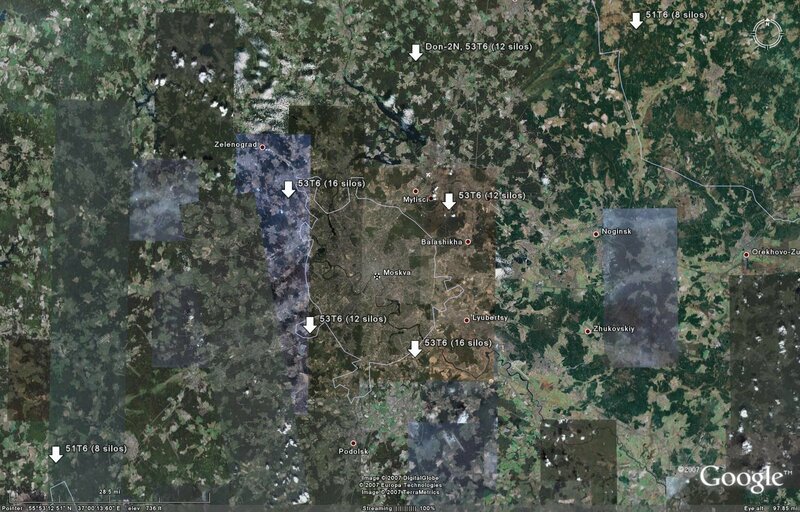 All overhead imagery is provided courtesy of Google Earth.